In 1845, Bernandino Branca of Milan thought up the formula of Fernet Branca, a new Italian bitter tonic with reported healing properties that would catapult it into a massive success. In 2015, Fernet Branca would reach another milestone by appearing on the marginally popular (not at all) Tasting Notes on The Bottle Opener YouTube show. 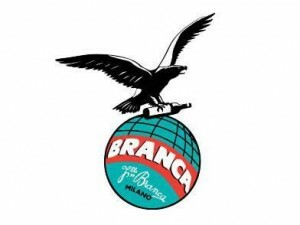 Fernet Branca is produced in the Fratelli Branca Distillery, where a blend of over 40 different botanicals are macerated in a grape based spirit. The botanicals and their quantities are a closely guarded secret, with the only person in the world who knows the specifics of the recipe being Bernandino’s living heir, Niccolo Branca. Most of the botanicals have had been associated with some sort of homeopathic healing properties at one time or another, and offer a wide range of beneficial uses, from mouthwash, to deoderant, to sedative, to stimulant. Some of the confirmed ingredients include Myrrh, Linden, Cinnamon, Bitter Orange, Saffron, Iris, Cardamom, Chamomile, Gentian, Galangal, Aloe and Licorice. The Tasting Notes offer a range of different bitter associated flavors. It’s said that Amaro’s can taste like licorice flavored Listerine; Fernet Branca is no exception. It has similarities with Buckley’s cough syrup, menthol toothpaste, and aloe gum drops. Most commonly it’s enjoyed either neat, or on the rocks, as an after-dinner digestif. It’s popular in the San Francisco Bay area, where I’ve been told it’s the drink of choice of the local hipster sub-culture. Argentinians enjoy Fernet with either coke, or soda, and in it’s native Italy, it’s sometimes consumed with either espresso or coffee. I would highly recommend Fernet Branca for anyone who wants to own a serious home bar. It’s fairly useful for adding a menthol kick to classic whiskey cocktails such as the Toronto, or Fanciulli. It can easily earn a useful spot on your shelves, along with sweet and dry vermouth, Campari, or Triple Sec. The Social Y is Looking For Writers!